A team led by Bath physicists intends to give heart failure patients a new lease of life. Research led by a Bath physicist is changing the prognosis for heart failure patients. A diagnosis of heart failure makes most people’s hearts sink. We talked to Bath Physicist Professor Alain Nogaret and his business partner, venture capitalist Stuart Plant, about how the company they’ve founded, Ceryx Medical Limited, is close to offering a brighter prognosis for patients via bio-electronic implants that operate in real time. The company was incorporated in 2016 with a £500k grant from Innovate UK and investment from the Bath Crescent fund and IP Group. Alain, Stuart, tell us how did this project come about? The symptoms experienced with heart failure can make it very difficult for a patient to exercise. Stuart: I work for IP Group, which has been around for 15 years or so. Our company aims to build partnerships with universities around the globe, with a view to evolving big, innovative, high tech ideas into world-changing businesses. When I heard about Alain’s work, about three years ago, I was immediately interested in Ceryx, a commercial spin out from the universities of Bath and Bristol, which led to IP investing straight away. The idea of using medical devices like this struck me as a very new field of bioelectronics. Alain was looking at heart failure, but the technology has other potential important applications, like treating hypertension and even severe spinal cord injury. The technology Alain is working with is basically able to take over processes within the human body and restore healthy function. Alain: Heart failure is a big problem that affects people all over the world. There’s no cure and its progression is unpredictable and inevitable, so finding a solution is a growing area; around a million people have been diagnosed with this condition in the UK alone. Current technology can’t help much, so patients are encouraged to adopt a healthier lifestyle and take drugs to try to control their symptoms – for the rest of their lives. My research here at Bath is concerned with developing bioelectronics devices to alleviate the health problems associated with heart failure, which can include breathlessness, dizziness, a fast heartbeat, swollen legs and excessive tiredness - symptoms that can make exercise impossible. Even walking upstairs can be a challenge for many patients. How is your device different to a pacemaker? Alain: Currently, pacemakers are fitted when patients suffer from an irregular heart rhythm, known as arrhythmia. They can operate continuously or with a tiny electric impulse to stimulate and regulate the heartbeat when needed, but they’re not suitable for everyone. Also, because the technology in our device restores synchronisation between biological rhythmic patterns, it naturally lends itself to regulating other functions as well, to provide a wider range of therapeutic solutions. Stuart: What Alain’s developing is for heart failure, not arrhythmia. Failure, in this context, doesn’t mean a heart’s stopped working; it means that because of damage to the muscle in the heart, it can’t supply adequate blood to the body. Your body tries to compensate for this by pushing up your blood pressure and heartbeat, which increases the strain on the heart and exacerbates the heart failure. His technology is clever because it will pace the heart correctly while increasing cardiac output, allowing it to pump more efficiently. By reducing the workload on the heart, Alain’s technology could allow the damaged heart to repair itself. Alain: Neural networks generate and synchronise rhythms naturally in children, but sometimes this ability deteriorates with age. We aim to turn back the clock and restore function while preventing – or even reversing – the disease’s progression, and averting the need for a bypass or transplant. Basically, it responds to each patient’s unique physiological feedback. It’s fairly big at the moment, physically, but we’ll eventually modify it to fit into the same small housing as a pacemaker, to be implanted in the chest, or even on the heart itself. Stuart: It’s essentially a small computer but also, unlike a pacemaker, it senses its wearer’s other physiological variables. Conventional electronic systems aren’t responsive to patients’ individual bodies. This one will interpret their signals and respond by modulating them in real time – and the user won’t even know it’s happening! Alain: The adaptive electronics will work continuously, constantly monitoring and modifying a heart’s pace in accordance with each patient’s varying needs, and allowing him or her to carry on with daily activities. And a pacemaker has to be replaced about every ten years, whereas a CPG should last… well, as long as the patient does! Stuart: I’m pleased to say that, despite its improved capabilities, the new device might not cost more than a conventional pacemaker. Obviously we’re a long way from the final product, but it’ll certainly be cost-effective compared with a patient taking heart failure medications, enduring hospital care and using ventricular assist devices for the rest of his or her life – or even a heart transplant, which is the only option for people with late-stage heart failure. Our device should offer the NHS massive savings. 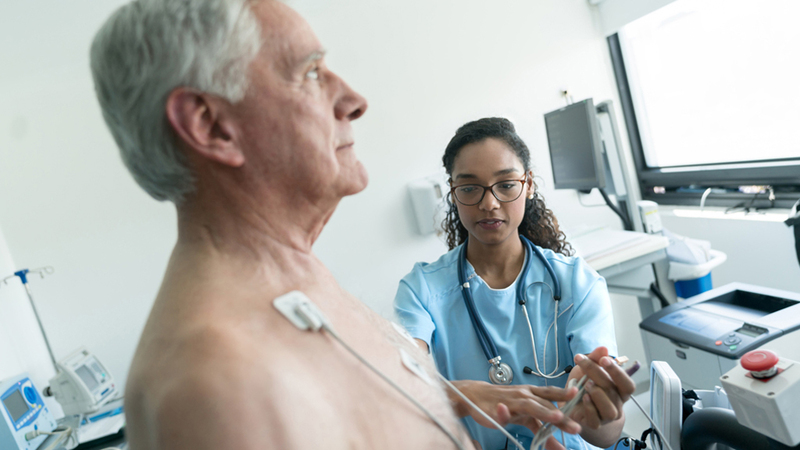 Standard pacemakers can often befitted as a day surgery procedure, and in most cases there’s no need for an overnight stay. The Ceryx product is likely to be the same. What testing has been carried out so far? Alain: We’ve already tried the device out on rats and at the moment it’s being tested on sheep. 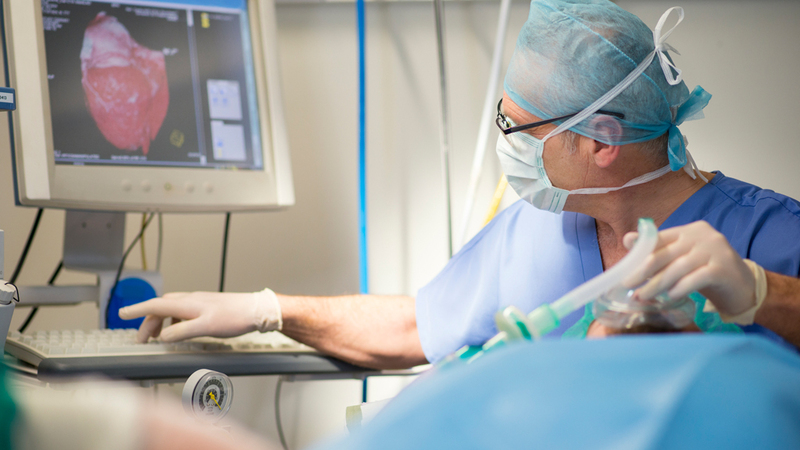 The device has been tested in a model of heart failure and the results are very promising, with a significant improvement in cardiac output after CPG stimulation. It’s quite challenging as you move on to humans and, as you’d expect, there are a lot of tests and regulations to be met before we can take the product to market. Even so, we hope to see it go in production surprisingly quickly, because we believe it’ll pass all protocols. Though the medical therapy itself is completely novel, the parts that go into the heart, as well as the case and post-generators, have been thoroughly tried and tested. After all, they’ve been used successfully in pacemaker-related technologies over several decades of a patient’s life, so we already know they’re safe. Does your product have competitors? Alain: As far as we know, there aren’t any - yet! A company in Israel is working on something that increases the heart’s power and could be complementary, but there hasn’t been a lot of innovation in this field. It’ll be nice to have a European device company for a change – most are American! Stuart: We’ve essentially created a new platform, and there are other exciting potential applications too, such as hypertension, spinal cord injuries and perhaps even diseases like diabetes. Alain: There’s already significant interest from clinicians, and cardiologists are rather excited because CPGs are smart. They have a measurable impact and attack the pathology; in fact, we’d expect to see a change to the heart muscle in a matter of weeks. So what’s the prognosis for patients with heart failure? Stuart: We’re becoming increasingly confident that the Ceryx device will change the outlook for them. Conventional medicines for heart failure help, but they only alleviate some of the symptoms without addressing the cause. Alain: Rather than having to face the prospect of seeing their condition slowly deteriorate, people will be offered a chance to halt the progression of the disease. More excitingly, we think we could potentially reverse the heart failure process, which would hugely increase a patient’s quality of life. Stuart: Current medications may even have a synergistic effect with our technology, to further improve patients’ recovery, but we’re yet to perform these studies. Either way, the future looks very promising.